Back on February 25, 2016, this humble writer had written a piece highlighting the potential investment pros and cons of Amira Nature Foods. In that article, I took an overview of the company and came to the conclusion that while it looked like a relative bargain based on its trailing twelve months earnings, before committing capital to this investment, one should conduct their own thorough due diligence before making any investment as some red flags existed that needed to be answered before making a commitment to ownership of this company. When that article got released back in February, it got thrashed by what I would dub the “fan boys” of Amira Nature Foods stock on various stock message boards and forums. That in it of itself should raise eyebrows of any prospective investor looking to commit their hard earned capital to this particular stock: when people lash out at you for asking legitimate questions about a business, that should make you wonder how much rationality is surrounding the stock of that business. On February 25, 2016, Amira’s stock traded at $12.50. Fast forward a little over 2 months and the stock trades today at just under $7.00. If you had decided to commit your hard earned money to Amira’s stock back when this article was released, you would be staring at a 44% decline in your investment. This is not to gloat about being right or wrong. I didn’t provide any predictions and projections of where I thought the stock was going back in February and I won’t be predicting anything today. 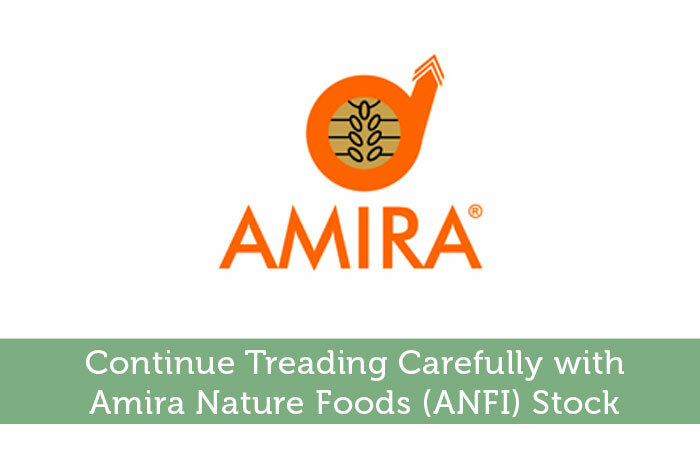 What I did advise was that a potential investor should tread carefully as there were – and still are – a plethora of issues surrounding the business that is Amira Nature Foods that need to be answered to one’s satisfaction in a thorough and rigorous fashion. It is easy to get caught up in the excitement and potential of a seemingly promising sounding growth stock opportunity at low valuations. It gets even more dangerous when you actively start seeking out confirmation bias online in various stock forums and messaging boards on a particular stock you find so exciting. A true investor conducts thorough due diligence on the company they are looking to invest in. You absolutely need to know accounting and possess financial and mathematical literacy. If there are accounting red flags that pop up, you need to be able to understand if they are serious or not. You need to be able to gauge whether management has integrity and an eye towards shareholders. The right company should be able to withstand the skeptical scrutiny that you put it through. With all of that said, the primary reason Amira’s stock has fallen so badly has to do with the fall in the commodity price of basmati rice. Along with a decrease in international revenue, revenue has fallen by 17.3%. One of the factors a potential investor has to be aware of when analyzing a commodity-based company is the concept of peak earnings and value traps. While Amira’s seemingly low P/E ratio of 4.8 might seem enticing on a shallow glance, you need to be able to adjust this based on where in the commodity cycle the company is and relative to a full commodity cycle of average earnings. What this humble author is attempting to get across to the reader is this: when you are looking to commit your hard earned cash into a potential business, you better understand that business inside and out or you will get burned badly. A business like Amira Nature Foods requires a deep knowledge of the basmati rice market, a working knowledge of accounting, and an ability to gauge the extent of shareholder friendliness of management. There are many questions you need to ask, and answer, before committing your capital. Natural and organic food stores are a great long term play in my opinion. That said, some of these stocks have sold off recently and the downward pressure is scaring a short term or swing trader. Most retail is in a very interesting place on the market right now. It will be interesting to see if we get any bounces with economic data in May 2016.